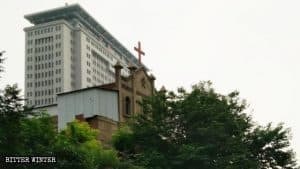 Deng Yi, a Christian from the True Jesus Sect house church, and her son, a student at a university in the eastern coastal province of Shandong, found themselves recently in quite the quandary: Risk their earthly futures or deny God before others. 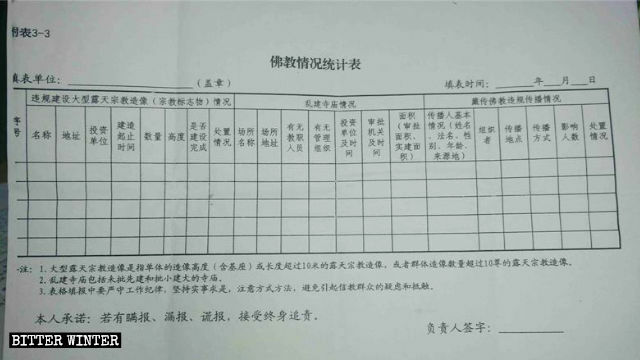 That’s because the university Deng Yi’s son attends has started a new practice of issuing religious belief auditing forms. Those brave enough to indicate they hold religious beliefs quickly find themselves in a load of trouble with teachers. Some are punished. And not only that, the record of their faith lives on documented forever, affecting their futures, their careers. 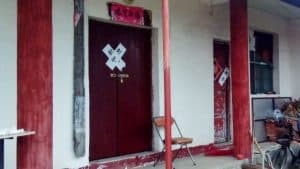 Despite the risk to his future prospects, Deng Yi’s son was unwilling to mark the form saying he had no religious beliefs, deeming as he did that doing so would be offensive to God. So, what should he do then? He asked his mother. And his mother turned to the other Christians at her church for advice, only to discover that many of them were in the same boat, forced to choose between their futures and their faiths by the signing of the surveys. 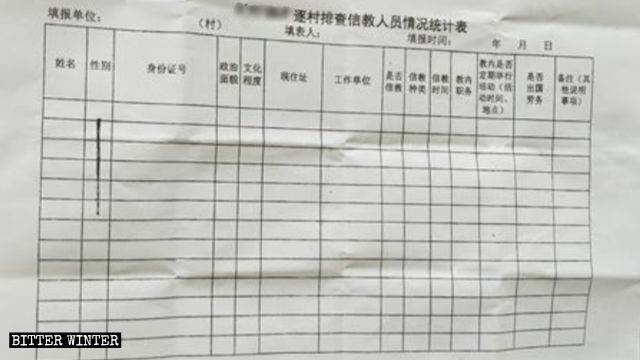 As Bitter Winter has reported, questionnaires and forms to register believers are nationwide and comprehensive in China – people of all faiths from schools and public institutions to businesses, neighborhoods, and communities are forced to fill them out. The forms usually ask for various personal information, including, name, ID number, home address, occupation, party membership, position within the religious organization, as well as names of family members, their addresses and workplaces. 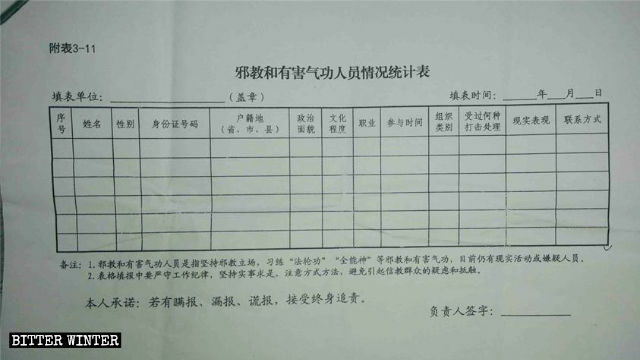 A table of aggregate information about religious members in a neighborhood in eastern Shandong Province. “If worse comes to worst, we don’t need anything but the Lord Jesus,” Deng Yi said. For Christians, this decision means paying other prices. 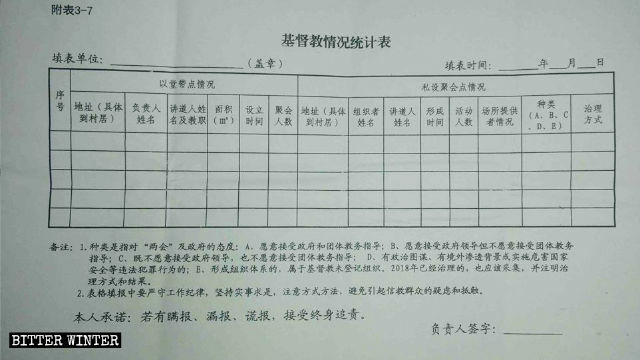 A table of aggregate information about people of Christian belief in a village in eastern Shandong Province. Chen Lin, a new university student in Zhengzhou city, in central China’s Henan Province, answered truthfully on the survey that he was a Christian. After doing so, his counselor threatened that if they found out he was attending church services, he would be expelled from the university immediately; he was also warned not to wear a cross or evangelize others at school. Since then, Chen Lin and his classmates have been forced to congregate in secret off campus. 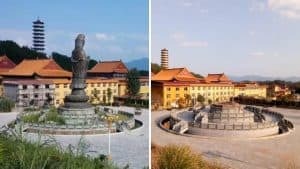 After Xiao Liu, a medical student attending university in the southeastern coastal province of Fujian admitted on a form that he held religious beliefs, he became a “special person of interest” at his school. Teachers have even berated Christian students in front of classmates there. As reported earlier, the paper forms filled out by believers are then compiled by local officials into “statistical investigation” tables according to religious denominations (with aggregate data about the number of registered believers, their age ranges, gender, education, etc.) and are later inputted into a national database. A table of information about people of Buddhist belief from a village in eastern Shandong Province. People don’t even have the right to refuse to fill out the form, as this implies that they might be religious, and they will be investigated as a result. Five years ago, Wu Fang of Fujian’s Fuqing city, who is a Christian with The Church of Almighty God, was arrested and held for 27 days. 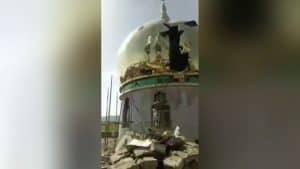 In June 2018, an official from her village demanded that she sign the statement renouncing her faith. She refused. 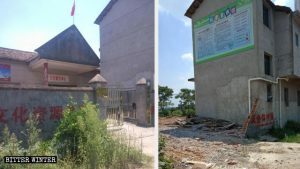 Two months later, while working on arrangements to construct a house for her family, government officials brought over her house construction application with the statement that she refused to sign, saying that if she didn’t sign it again, her house wouldn’t be approved. 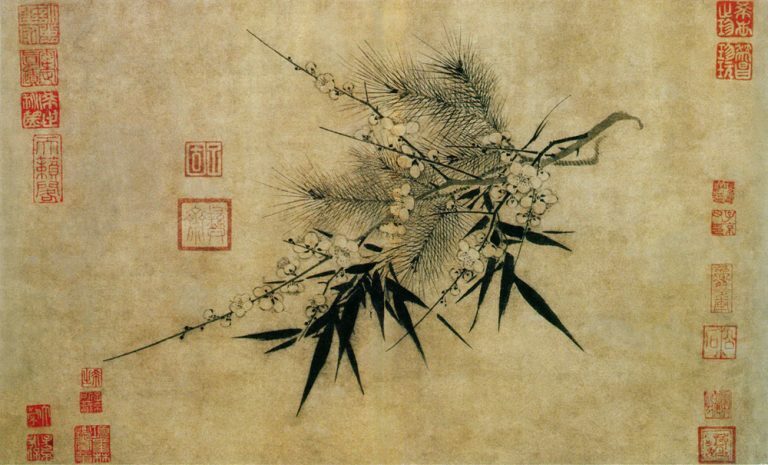 Once again, Wu Fang refused. Another two months later, when Wu Fang went to pay her medical insurance, workers also requested that she handprint (as a way of signing) a guarantee that she no longer believed in God; otherwise, she wouldn’t be allowed medical insurance. A table of members of xie jiao and Qi Gong for a village in eastern Shandong Province. As the local government repeatedly pressured her to sign the statement, Wen Yongqiang chose to go on the run instead.